Yeah, thats exactly what Government is announcing when it comes to Mobile Number Portability – The date for implementation of MNP is postponed yet again ! As per the previous circular, it was supposed to be implemented by June 30th – we have now already crossed that date. The new date fixed for MNP implementation is 31st October 2010. So another 4 months wait for probably another postponed date. There is sure is something seriously wrong with the way Government is going about this whole MNP issue. Yes, everyone understands that it is highly complex and sheer size of Indian Telecom market makes it difficult to implement MNP. However, this is a given and I am sure dates had been decided taking into account the complexity of this whole thing. Then how is it that for the 4th time that MNP is getting postponed ? I think it is clear that Telecom Companies don’t really want MNP to be implemented or atleast want to postpone it as much as possible. 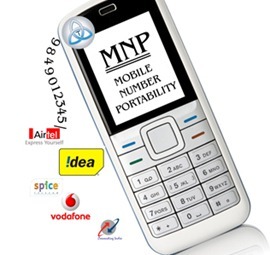 One of the most important aspects from Telecom Operators point of view is that Mobile call rates need to stabilize, which will ensure that MNP, when implemented, does not change the equation too much. So, yet again disgruntled customers who cannot change their age old mobile numbers are stuck with their Telecom Operators. I doubt we will see MNP implemented by October 31st – Whats your view ? Shale Gas – The New energy resource ! If BSNL, MTNL, Bharati, Voda., Rel., Idea suffer most; where would their subscribers shift? To new players? And if so many subscribers shift to new operators, would they be able to handle the heavy load? If they can not, then the whole hassle of shifting the operator will become pointless..
i am waiting fr MNP when wil it come.cant we do anything.i am paying high rates in the present provider but i cant change the number. does sunil bharti mittal & ambani,being in rajya sabha have a role to play in this???? ………..well, who knows!!! One thing is sure that its inevitable for such a plan to role out…….sooner the better! the telecom industry needs freedom……….no wait………..the indian customer needs freedom from these companies!!! aakhir kab tak aam admi bharenge en companiyoon ki jeb! ARPU’s are a challenge in this industry traditionally faced with high capex needs. Now as growth in cities peters off and the rural growth being more expensive MNP will bring about cutthroat competition. Price will matter but people will be able to choose the combination of price, service and convenience most suitable to them. In this regime growth will increasingly come from poaching subscribers from the competition – a zero sum game – as the switchers player A enticed away from B last quarter will be taken away by C the next! Oh i am sure this is never going to happen. Because the big players like bharati, vodafone and reliance will loose their lots of customers.. People who have their old number don’t want to switch operator even though they are paying high money or call rate from current carrier. If network portability is done the cheapest player will be the king of market..
Arun, the only reason govt is not implementing the MNP according to me is to protect their own telecom companies like bsnl and mtnl. These are the companies which are giving the worst possible service and the govt is aware that bsnl needed more no. of line which could not be implemented due to the red tapism. Now at least here in Maharashtra, BSNL service is the worst you can ever get. There are call drops, cross connections and connection failures. In this situation if MNP is implemented, it will definately affect BSNL most. Also there must be pressure from the Heavyweights like Airtel, Vodafone, Idea etc.. who have already over used their share of the spectrum, and they too will be mostly hit. So this shows how the govt is playing Dr Jekyll and Mr Hyde, calling for open market and then delaying things as much as possible. Definately Someone should go for a RTI regarding this. Amit, you have made an interesting point…which I really did not think about – Although, BSNL & MTNL will suffer most, I think it is more to do with private operators rather than government officials ! If the operators do not see *value* in MNP for *themselves*, it is not going to happen. Agreed, system complexity issue is there but then India is the brain of the software industry. We can make this. When operators can spend billions of $ and jump on to grab the 3G spectrum, they can surely manage the MNP. But the point is they won’t gain from it so they are just trying to push it away. Like I mentioned…complexity is there…it is a given due to the size of the Industry…What pisses me off is …Tarikh pe Tarikh.. Yes, Prats…. thats right…RTI is probably the way to go…I am not sure why activists have not done that as yet…. It sure will bring out the truth..